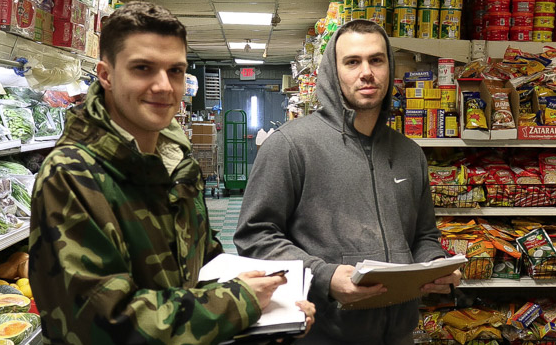 Photo Caption: RIC junior Evan LaCross and senior Giancarlo Rossi collected data in this corner market in South Providence as part of a International Nongovernmental Organization Studies (INGOS) food justice project identifying food deserts. This semester, students in International Nongovernmental Organization Studies (INGOS) 302: Social Entrepreneurship have been combing through food markets in South Providence to collect data for a food justice project. Their goal is to pinpoint “food deserts,’’ which is defined as areas that lack access to affordable, fresh and nutritious food. Guided by RIC Associate Professor of Political Science Robyn Linde, 11 students have surveyed about 60 corner markets in upper and lower South Providence, assessing the quality of food, comparing price points and gauging each store’s proximity to area bus stops. 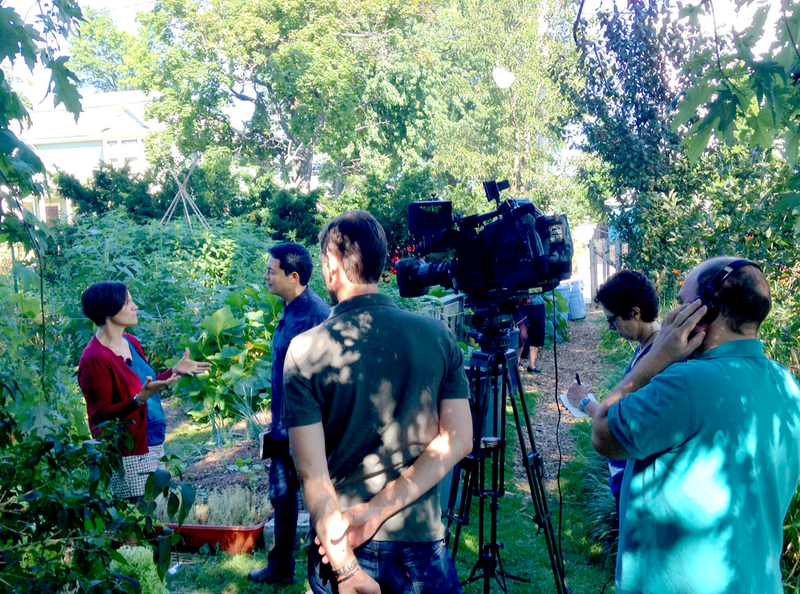 The class has been advised by two nonprofits: Urban Greens, a volunteer-based food cooperative that plans within the next year to open a fresh and organic market located at the nexus of South Providence, Federal Hill and the West End; and Southside Community Land Trust, a group that over the last 30 years reclaimed five acres of once blighted, vacant lots in Providence and transformed them into a network of community gardens. “We are trying to produce data that will be useful in their work,’’ Linde said. Philip Trevvett, a representative from Urban Greens, visited Linde’s class earlier this semester to share with students how food deserts have become a big concern in communities like South Providence. Prior to the project, several of the students in the class had no idea what constituted a food desert. Although freshman and political science major Silvia Castro grew up in South Providence, she was unaware of its food-desert status. The class has finished collecting data and is now in the reporting phase of the project. Initial findings show that some corner markets carry healthy food but there isn’t equal access across South Providence, Linde said. This fall, a geography class will use the students’ data to create a breakdown of the area’s food desert, identifying details such as residents’ race, ethnicity and socioeconomic information and the neighborhood’s bus routes. Jennifer Moreta, a RIC junior in the class, said what sticks in her mind most about the project is that there is a cycle of poverty and lack of education connected to food desert issues. RIC senior Joseph Koperda called the food desert issue a “form of economic discrimination’’ and echoed the need for more attention to address it.